Whether you day trade or swing trade stocks, forex, futures, indexes or bitcoin, money management is a huge part of making money on a regular basis. The type of money management you use can significantly effect your returns. 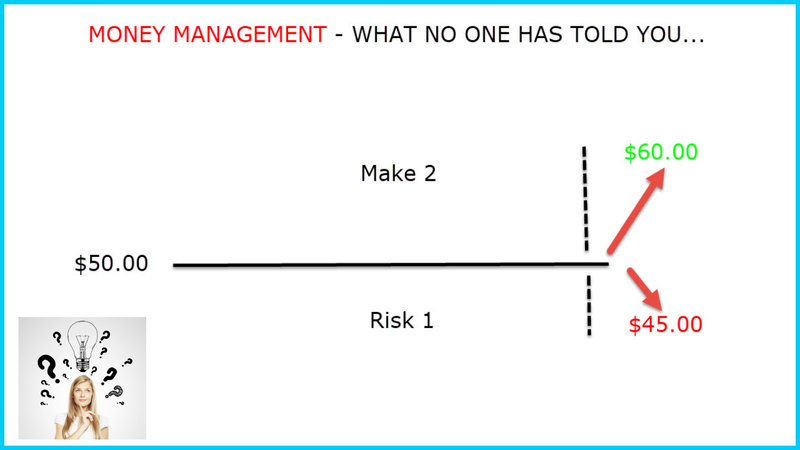 In this short 5 minute video you’ll learn a little known fact especially in the forex world about risk management which is stacking the odds against you. My goal is here is to open your eyes to why things may be a lot harder than you thought with your trading. A future video will give you some strategies to overcome this. I hope you like this and show it some love by giving a thumbs up.